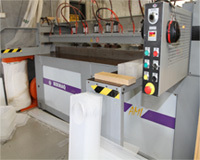 ACRIFAB has the luxury of the choice of machinery when it comes to panel cutting. 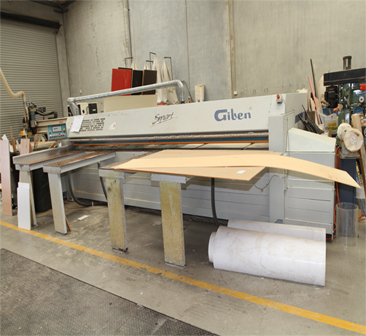 No matter whether it is some small odd pieces that you require or a large run of similar sizes, ACRIFAB has the choice of a range of Routers, Laser cutters, Beam saws and an Altendorf panel saw. We then have the machinery for edge polishing or edgebanding so whatever your requirements are can handle the request cost efficiently, time efficiently and with the best quality. 18mm thick MDF board in the full range of ACRIFAB standard colours. Shelves are edged on 2 short and 1 long edge with 2mmm thick ABS “tough edge” edging to resist knocks and chips. Standard Lengths 600mm, 900mm, 1200mm, 1800mm, 2400mm ; Standard widths 240mm, 300mm, 350mm, 400mm, 450mm,600mm. We are alos able to provide shelving with a clear acrylic lip. An aluminium angle is screwed onto front of shelf as a retainer for a 4mm acrylic front.